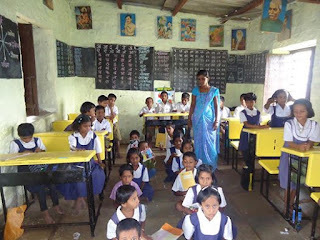 Ahmednagar, Maharashtra: Don Bosco Development Society (DBDS) in a joint collaboration with STULZ-CHSPL launched a village education program in the 25 most underdeveloped villages of Ahmednagar and Beed districts. 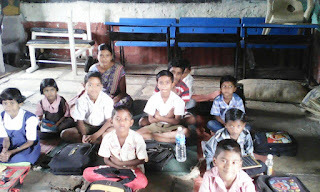 This project focuses on improving the quality of primary education and is funded by STULZ-CHSPL India Pvt. Ltd. Even though the project began on 1st July 2016, the official inauguration was held on 12th July 2016 in Bosco Gramin Vikas Kendra (BGVK – Ahmednagar). DBDS (Mumbai) is the project holder while BGVK and St. John’s (Bhingar Camp, Ahmednagar) are the implementing partners of this project. Fr Rolvin D’Mello (Executive Dir. DBDS) summarized his message in a sentence; stating that this project aims at putting quality back into village education. Fr George D’abreo (director of this project) also motivated the teachers during the inauguration ceremony to give their best for the bright future of these village students. Fr Paul Antao (Asst. Director of the project) also spoke along the similar lines. This initiative has come after experiencing the poor state of education in the village schools. 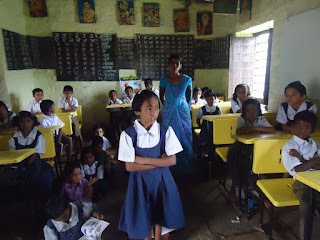 It aims to improve the learning levels of poor children in villages. The project will benefit about 650 children in this year – thanks to STULZ-CHSPL India Pvt. Ltd. and especially to Mr Suresh Balakrishnan (Joint Managing Director of the company).